It is not quite simple to transfer data from an iPhone or iPad to your Windows PC due to its limited accessibility unlike Android and Windows Phone. In this guide, we'll show you how to transfer photos from an iPhone or iPad to your Windows 10 computer with few simple and easy steps. In order for your Windows PC to recognize the iPhone or iPad in File Explorer, you'll need to download and install iTunes. Launch your favorite web browser from the Start menu, taskbar, or desktop. Click Download Now. You might have to scroll down a bit. Click Save. iTunes will now download. Click Run when the download is complete. The iTunes installer will open. Click Install when you're satisfied with the installation parameters. Plug your iPhone or iPad into your PC using a suitable USB cable. Launch Windows Explorer from your desktop, Start menu, or taskbar. You can also use the Windows key + E shortcut on your keyboard. Click the arrow next to This PC in the menu on the left side of the window. The arrow looks like >. Click NAME's iPhone or NAME's iPad in the This PC sub-menu. Double-click a folder. They should all contain images. Click an image. You can hold the Ctrl key on your keyboard and click to select multiple images. You can also use the Ctrl + A shortcut on your keyboard to select all photos at once. Click Copy to — it is located near the top of the window. Click Choose location… to select a location. You can also click one of the options listed in the dropdown menu. Click a destination to save the pictures. Click Copy. Make sure you don't unplug your iPhone or iPad during the process! If you'd like import all photos from your iPhone or iPad at once, you can use the handy Photos app that comes standard with Windows 10. Here's how to do it. Launch the Photos app from the Start menu, desktop, or taskbar. Click Import. It is located in the top-right corner of the window. Click any photos you'd like to not import; all new photos will be selected for importing by default. Click Continue. The Photos app will begin the import process. Make sure you don't unplug your iPhone or iPad during the process! Windows 10 has the ability to use iCloud to wirelessly sync your photos as long as you've backed up the photos on your iPhone or iPad to iCloud. Here's how to do it. Click Download. You might have to scroll down a bit to find it. Click Run when the download his finished. Click Finish. Your computer will restart and, upon restart, the iCloud window will automatically appear. Click the box next to My Photo Stream so that a checkmark appears. Click the box next to Upload new photos from my PC so that the checkmark disappears. You can set these options how you'd like, but this ensures you're just getting the photos off your iPhone or iPad onto your PC. Click Apply. Any photos in your iCloud will now download to your PC. 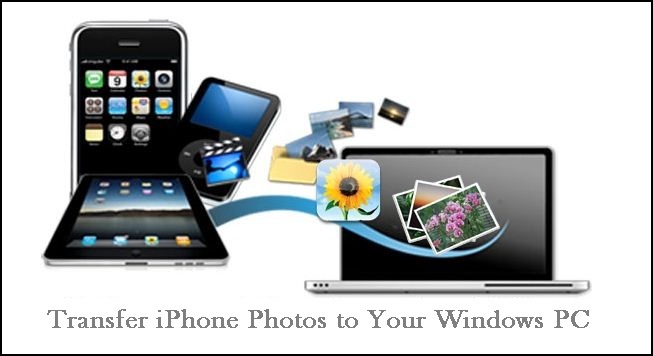 Have you successfully transfered the photos from the iPhone or iPad to Windows 10 PC? Let's know in the comment below.